London, a populous and multiethnic capital, is considered a city/state. Global economic giant, where everything is more expensive than in any other city or region of England. The land, buildings, salaries, wages, supermarket prices, rent, food, entertainment, health, insurance, transportation and many other "dance" at their own pace. The only thing free is Museums. Thus we have the opportunity to enjoy amazing things, what the british empire gathered all these years. Besides all the above, London is a popular destination and whenever possible I do not lose the opportunity for a trip. It offers many things to see and do, that your travel days are never enough. 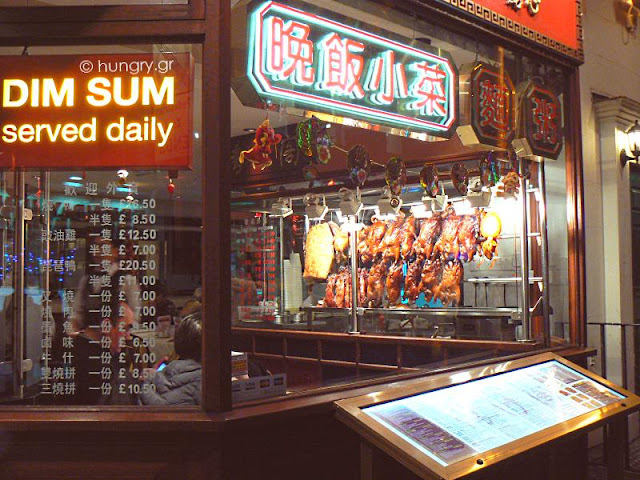 Today's tour will be about dining in various national cuisines, with an emphasis to those of the East! 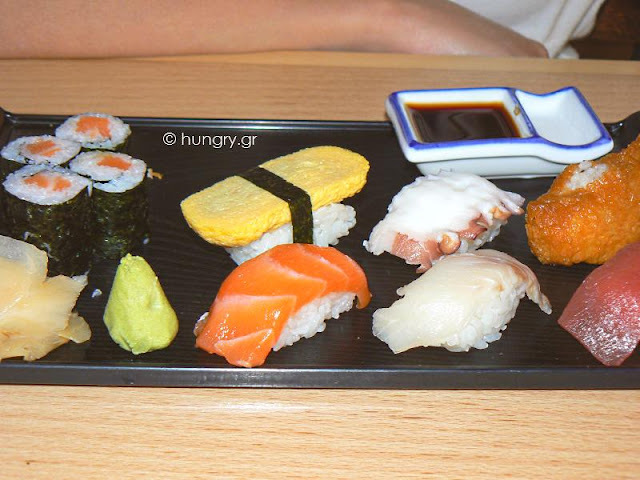 Let's start with the Japanese Cuisine and the Sushi ready to be consumed. 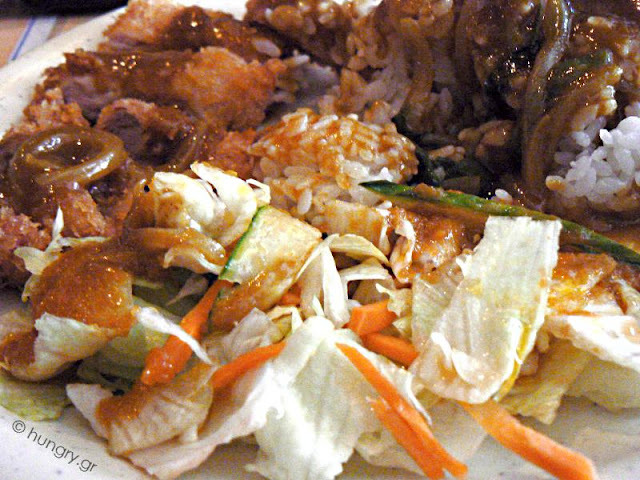 A combination plate with rice and vegetables. Delicious! with its distinctive atmosphere, is a favorite destination! Apart from countless restaurants, grocery stores and all kinds of small shops, it is the region's folklore, that makes it a huge tourist attraction. 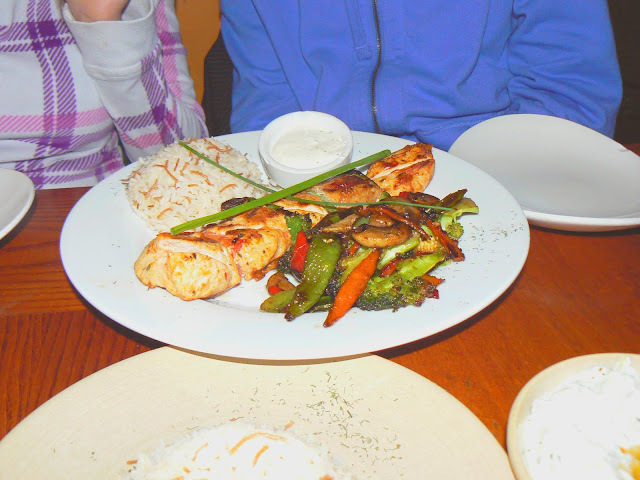 This dish is a variety of different flavors. 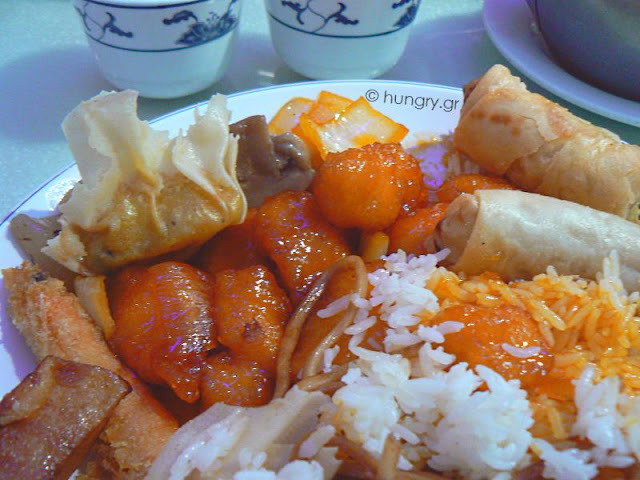 You can combine the flavors you prefer: Sweet and Sour Chicken, Spring rolls, Duplings, pumpkin in the batter, fried, basmati rice, etc. 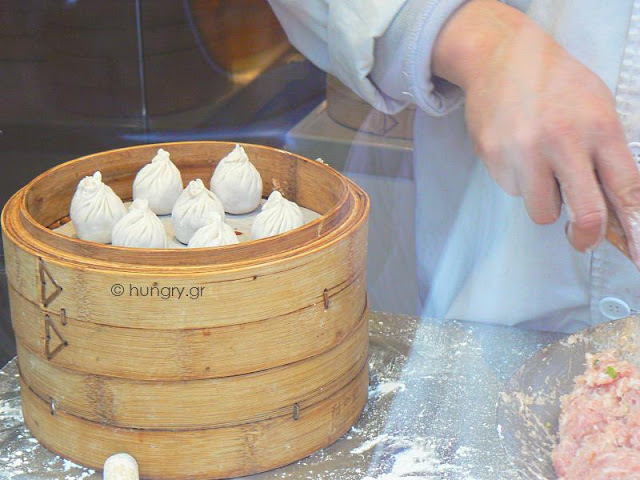 In the restaurant windows you can often see the cooks preparing the Dumplings, filling them with various mixtures. 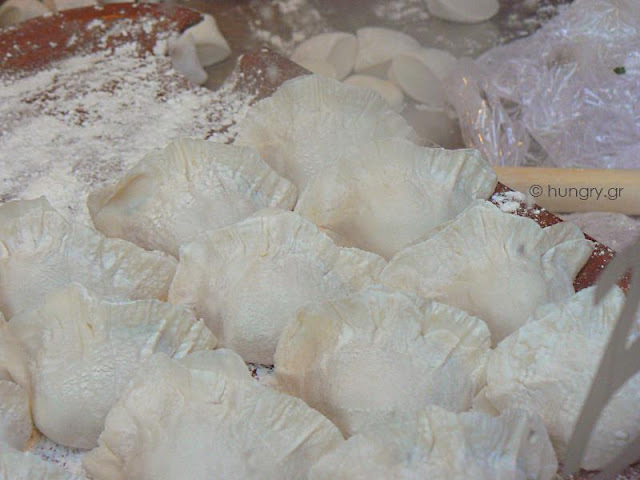 The speed and ease with which they make the dough from rice flour until you get the final shape of a dumpling, is amazing. 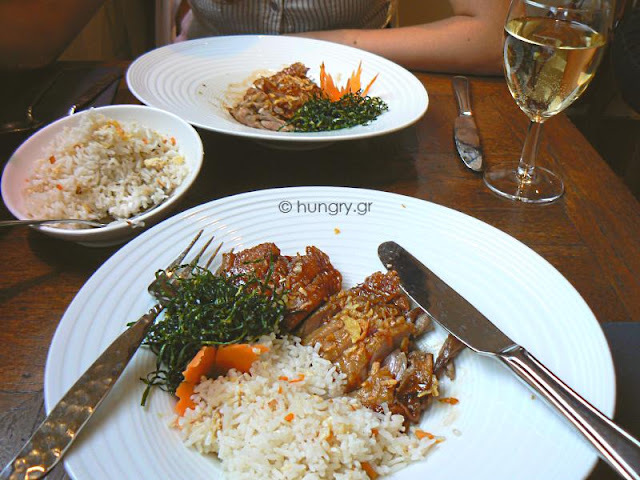 Turkish restaurant, with ancient name, geographical designation, Cilicia=Κιλικία! 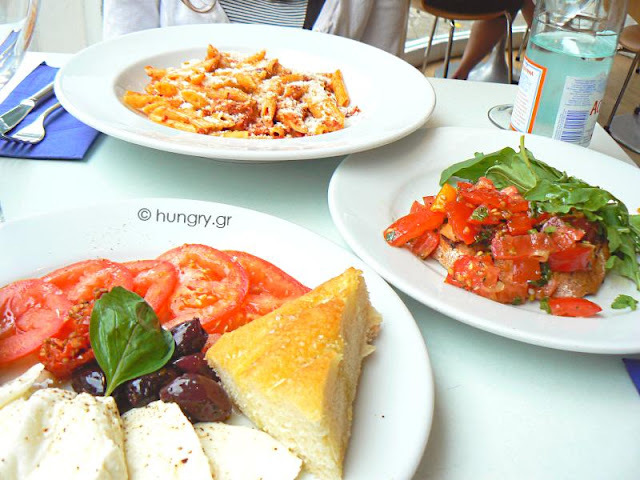 The dishes seemed like familiar flavors of Greek, Mediterranean diet. 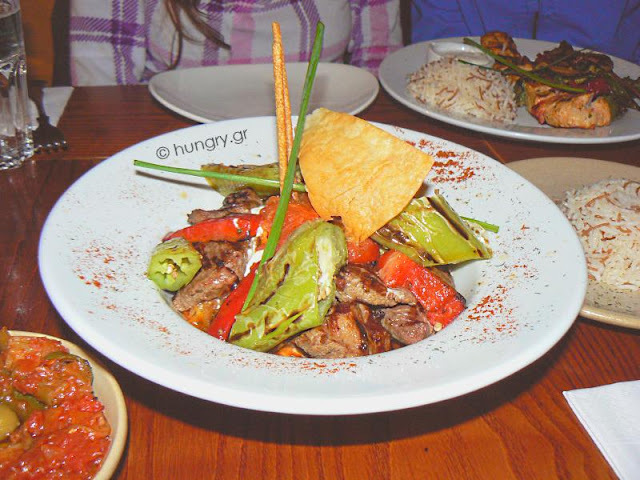 Roast lamb, chicken pieces on skewers with vegetables, tzatziki, etc. 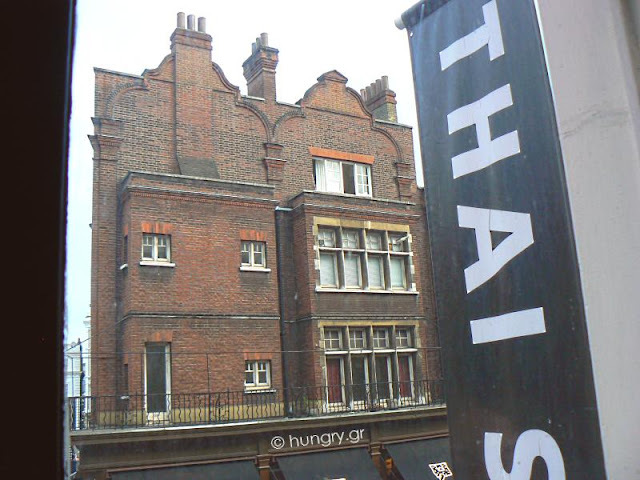 restaurant with a cuisine from the state that was named Siam before 1949. 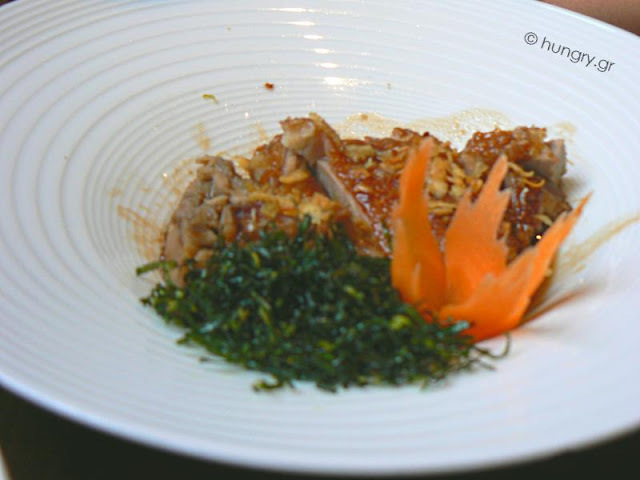 Aromatic very tasty caramelized / roasted duck, a dish of Chinese origin, fried rice and seaweed. Excellent white wine. 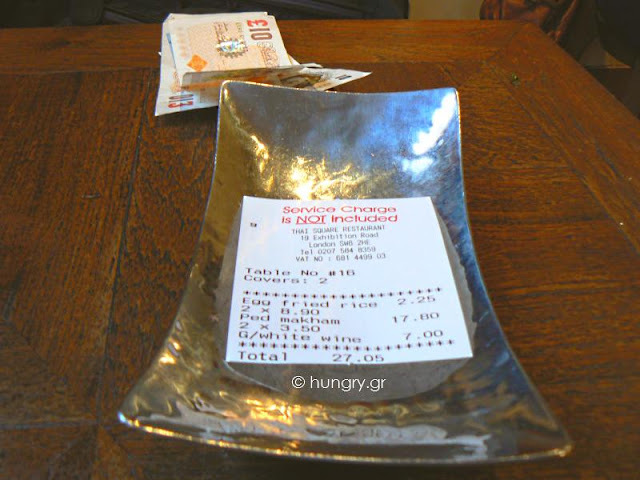 Silver, forged cutlery… …Matching the check's plate! A large restaurant chain of my favorite Italian Kitchen. 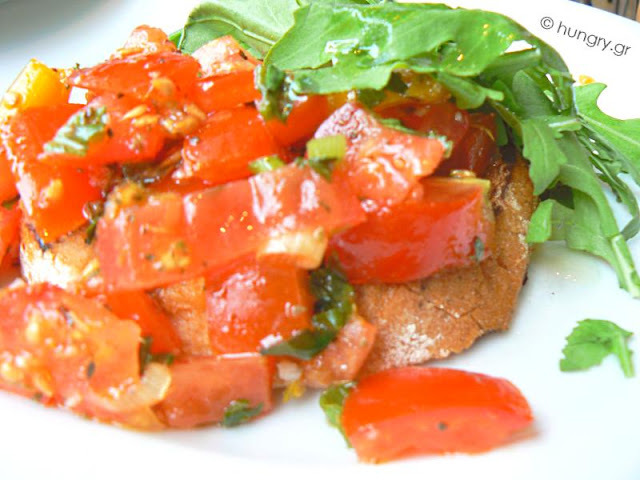 The first dish was a delicious slice of toasted bread covered with chopped tomatoes and arugula. The sauce (vinegar, olive oil and herbs), who surrounded them, gave a great flavor to this very simple proposal. The salad with mozzarella, tomato sauce, olives, pickled pepper, freshly ground pepper and a basil leaf! 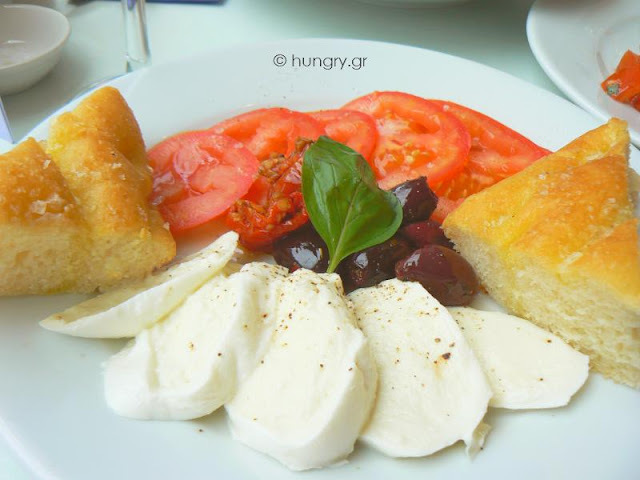 The apotheosis of this dish was the bread, which comes with it. Generally, all the pastries are just perfect! And what else? 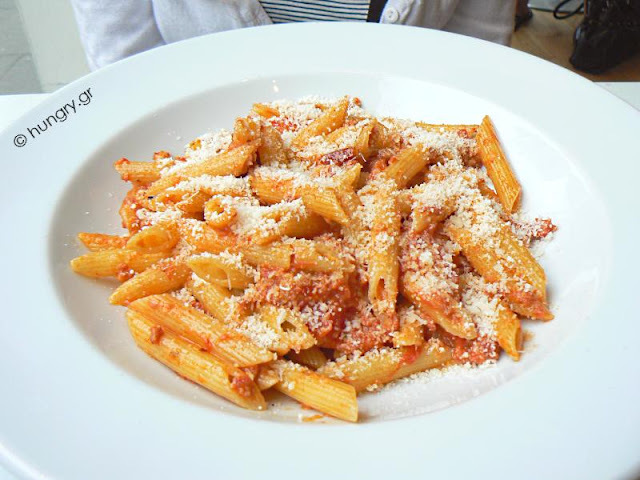 Rigatoni al dente, with red sauce and parmesan. 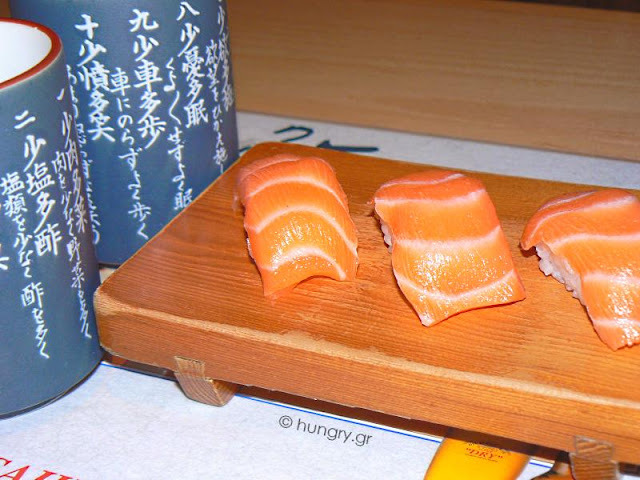 Simplicity and taste.